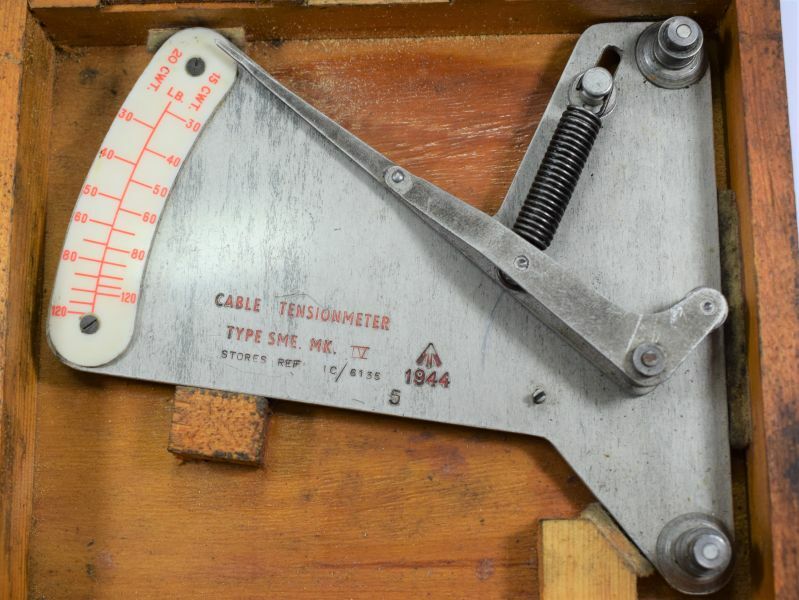 An interesting wartime RAF cable tension meter in original storage box. 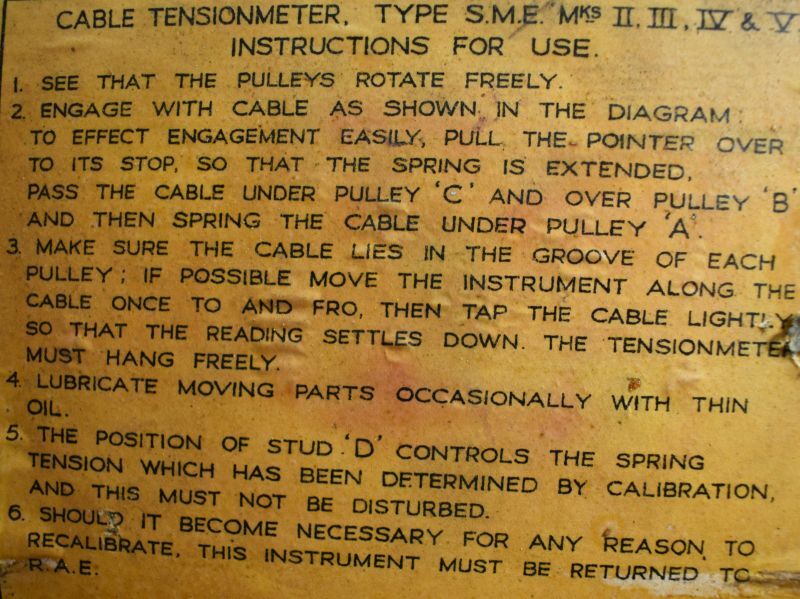 The box is in good order and the correct for the tension tester. 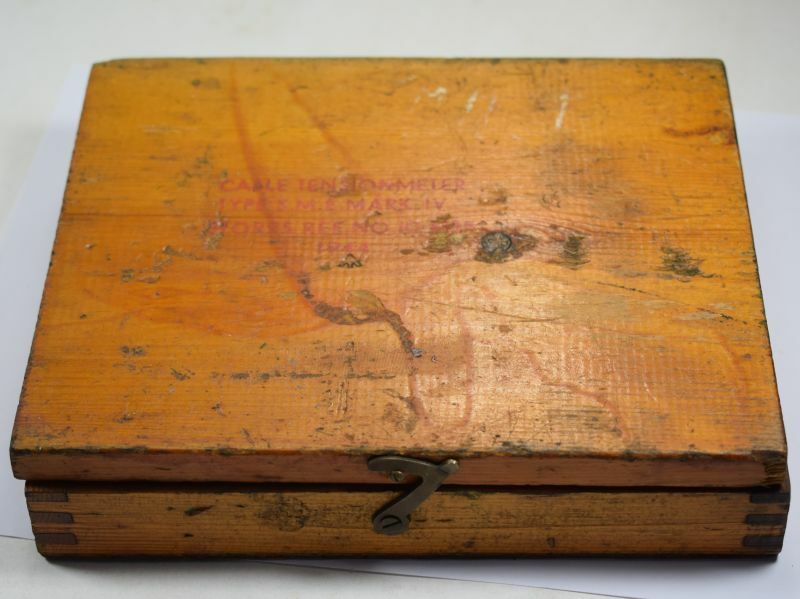 It has its original stencilling to the lid and 1944 date. 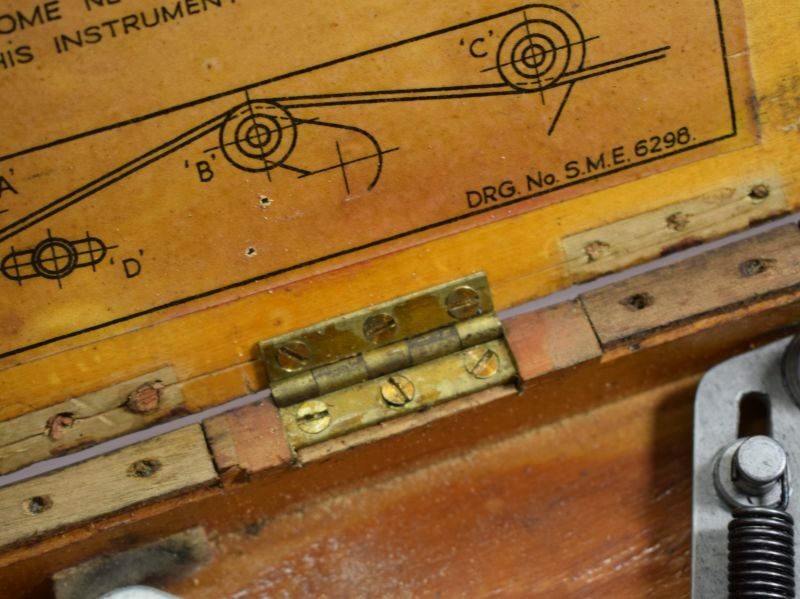 The hinges have been replaced at some time with one single hinge. 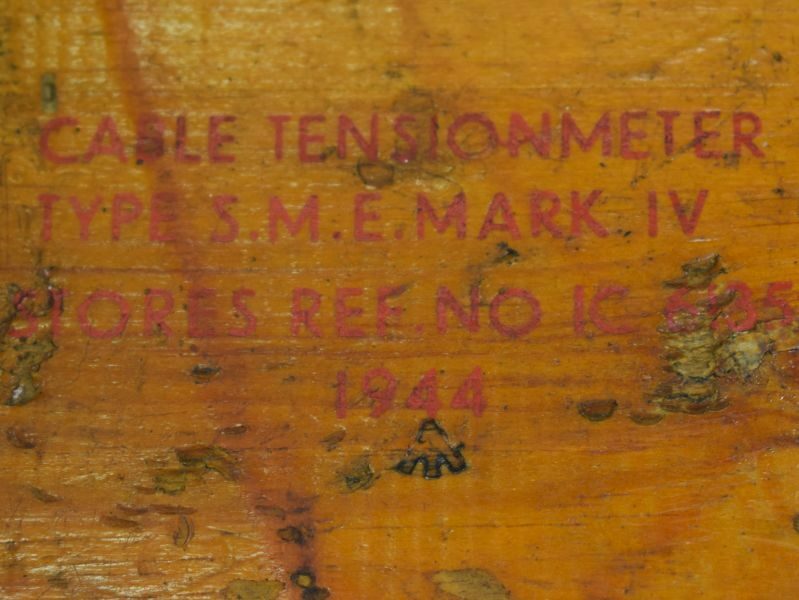 The inside of the lid is complete with its instruction label. 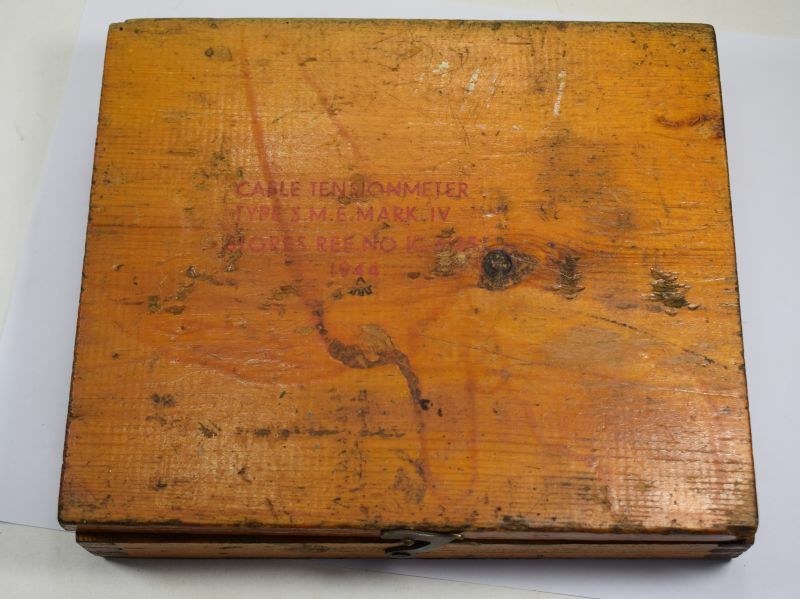 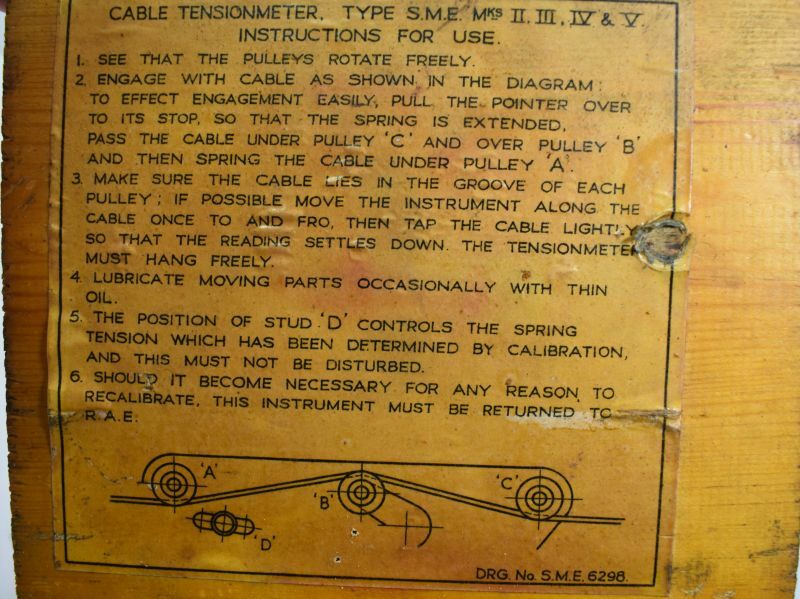 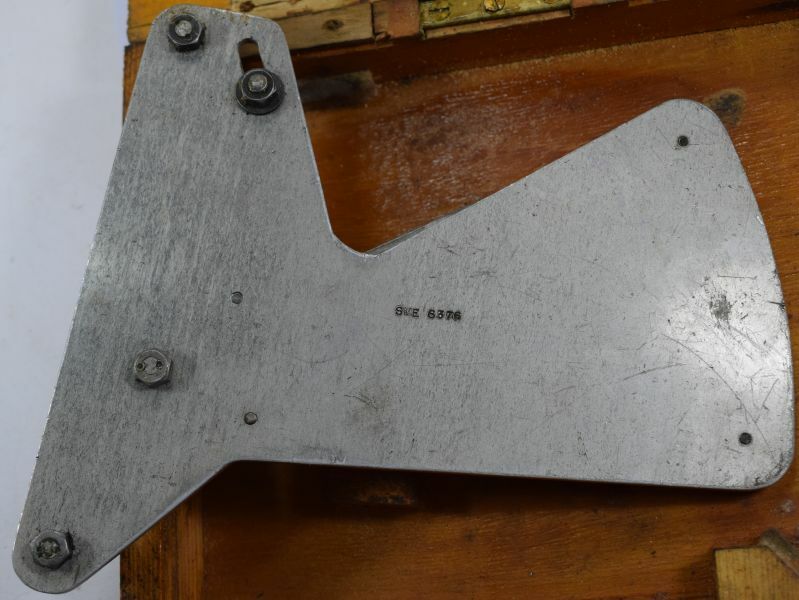 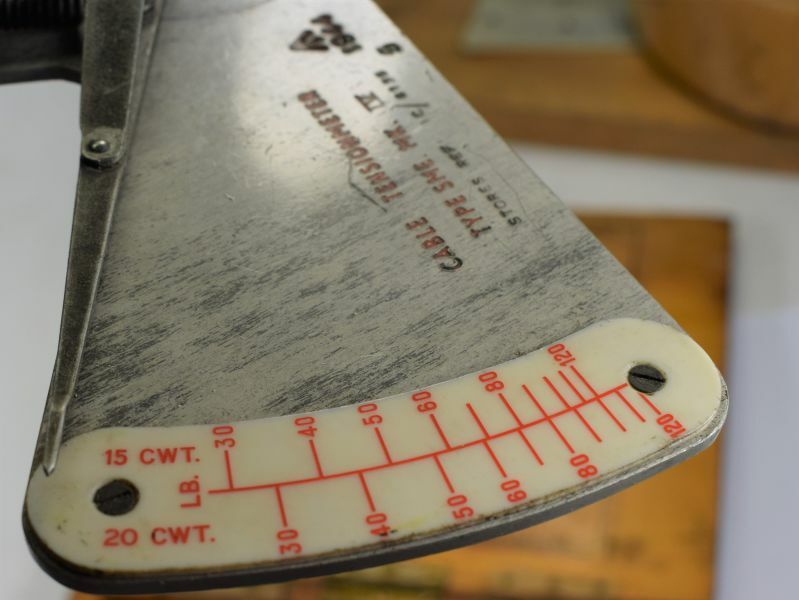 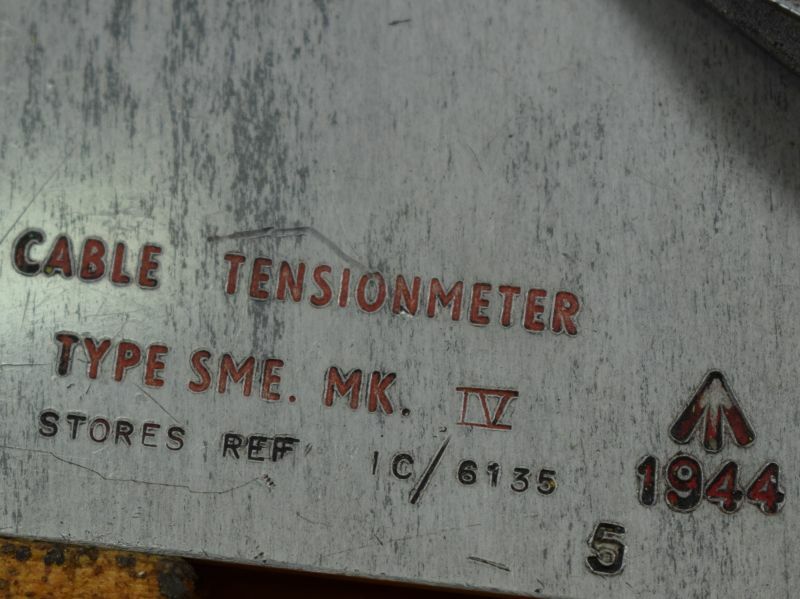 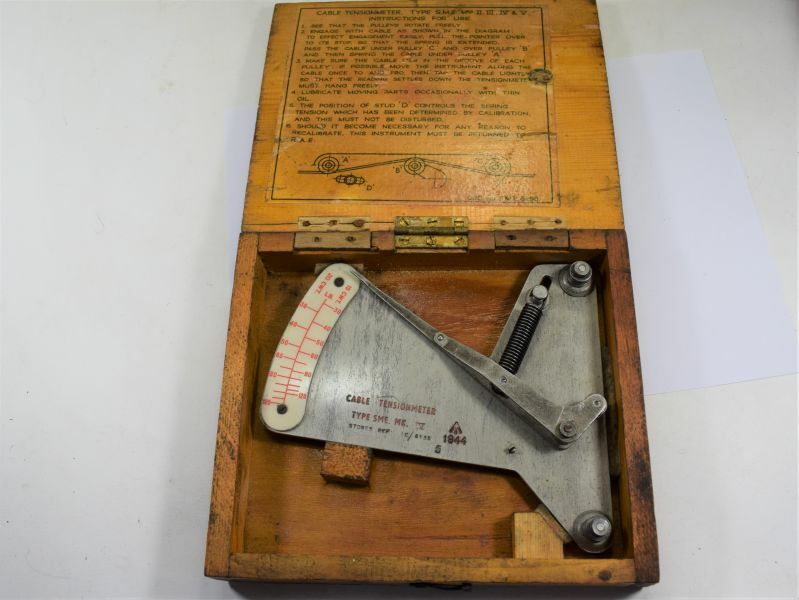 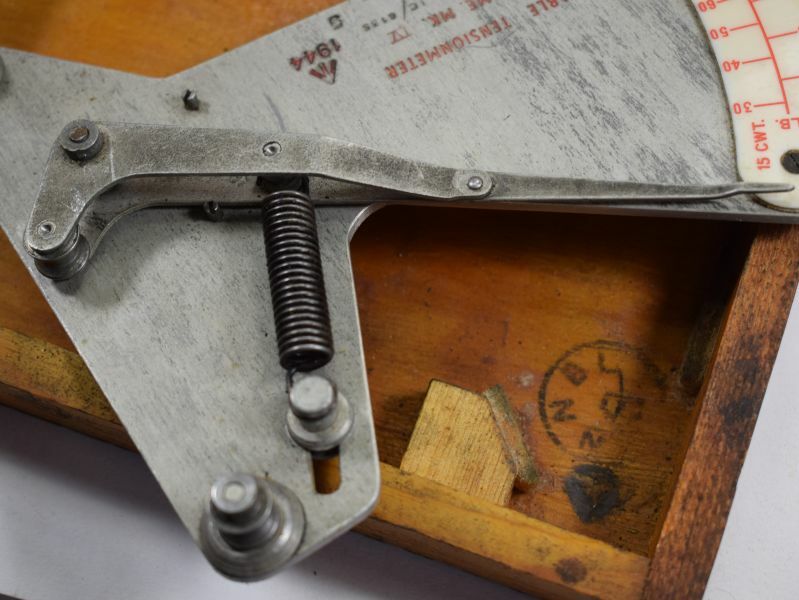 The tension tester is in nice order with no damage and has matching markings to the box and again is dated 1944.